The Legislative Yuan of Taiwan has increased the visa duration for foreign workers from nine to twelve years, as a result of the aging population. 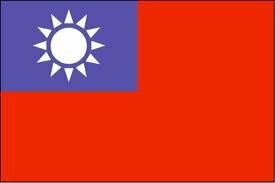 Taiwan has decided to extend the length of stay for foreign workers to meet growing demand from the island's ageing population, officials said Friday [20 January 2012] . Parliament passed a bill late Thursday [19 January 2012] to extend their stay to 12 years from nine years following appeals from local families employing foreign helpers, said the Labour Affairs Council. The number of foreign labourers reached a record 425,660 by the end of 2011, partly due to surging demand for live-in carers in Taiwan's rapidly ageing society. Nearly 200,000 Southeast Asians -- most of them from Indonesia, the Philippines and Vietnam -- were employed as caregivers or maids while the rest were in the manufacturing sector, according to the council. People aged 65 and over accounted for 10.6 percent of Taiwan's 23 million population, the latest census showed, above the 7.0 percent level at which a society is defined as "ageing" by the World Health Organisation. Meanwhile, the island's birth rate has plummeted to one of the world's lowest in recent years, triggering concerns of serious social and economic problems from a severe manpower shortage.